He's tall, about 6'2". He's devastatingly handsome, drop-dead style. He has deep-set, striking eyes. Men want to be him; women want to be made-love-to by him. And he's dangerous. Very dangerous. Who is he? (Hint: He's neither you nor I!) He is...the man who would be Bond. Or, in other words, the luckiest damn actor in the world. There's no question that the next 007 will automatically reserve a place for himself in the history books, just as his predecessors have done. 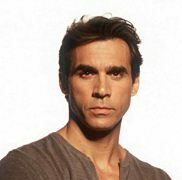 Connery, Moore, Dalton and even Lazenby (whose name, despite an unremarkable career, is still mentioned and discussed today) are forever linked to Bond, as is current star Brosnan. Actors come and go throughout movie history, but Bond actors have achieved immortality. Brosnan is a perfect example of what the next Bond can look forward to. After having huge success as television's "Remington Steele," Brosnan floundered in obscurity in a succession of B pictures, most of which went straight to video. But GOLDENEYE single-handedly lifted him out of the quagmire and today he's a multi-millionaire, able to choose his own projects, and negotiating one-picture Bond deals, to make sure he gets his fair share of the pocket change. You might call him a free (secret) agent. A. He must be 6'1" to 6'3", and have a robust physique, so that he exudes a charisma and confidence mortal men lack. B. His face needs character: strong, defined features that appeal to both men and women. It should be difficult to take your eyes off him. C. He must appeal not only to the international market, but the American one as well, where, it's been proved, Bonds have more fun. D. Oh yes...he should be able to act, too. Having said that, let's examine some of the most eligible contenders the media has spewed forth over the past few months. Yes, I know EON has tried to quash these rumours by stating Brosnan is their man "for the forseeable future," but - hec! - it's fun to speculate. My #1 choice starred in TV's "Highlander." Long-since compared to a young Sean Connery, he possesses many of the same physical attributes and sexual charisma. His fighting capabalities are miles ahead of the other contenders, and he can be tough and dangerous while exhibiting an ironic sense of humour. Paul would be, undeniably, the most physical Bond since Connery and Lazenby. His worldwide popularity is just ripe enough for movie stardom. 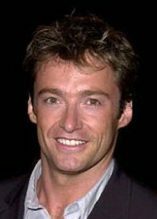 Quickly emerging as a major Hollywood star due primarily to X MEN, Jackman has the necessary physical stature and sense of humour. His face is still somewhat pretty-boyish, but he could certainly acquire the more defined, chiseled features that come with age. The only concern is that when his time rolls around, he may be too big a star to play James Bond. Christian Bale - Best known for his portrayal of AMERICAN PSYCHO, Bale is hardly Bond material. At 27 he lacks the physical presence and sophistication required. He's good- looking and tall, but to quote Roger Moore, so is my aunt. We'll take another look at him in 10 years, OK? Clive Owen - Causing a stir in the sleeper hit CROUPIER last year, Owen has also been compared to a young Connery. This mainly because he sat around a gaming table in a tux raising thick eyebrows. I don't think he really has the look of an international ladykiller, or the charisma to carry the Bond series on his shoulders. Jeremy Northam - Largely unknown in the US, he's carved out a distinguished career for himself primarily in English period pieces. Quite a versatile actor, he's also played Americans, most notably opposite Sharon Stone in GLORIA. He's (somewhat) cut from the Roger Moore cloth, but although his bio says he's 6'2", he always looks short to me! Ioan Gruffud - The IMDB says his name is pronounced Yo-an Griffith, but I think it would be easier to say "Horatio Hornblower," his main claim to fame in the A&E TV series. He did a fashion spread a couple of years back in which he was supposed to look Bond-ish, but inspite of an interesting face, I think he's too slight and lacking in star quality. Jason Isaacs - A veteran character actor most recently seen in THE PATRIOT with Mel Gibson, Isaacs' most memorable feature are his piercing blue eyes. He continues to do memorable supporting roles, and that's where I believe he's destined to remain. Not everyone can be a movie star, you know. Gerard Butler - The most talked-about contender so far, due to a premature announcement he was the new 007. His only notable film has been DRACULA 2000, which I've not seen, but heard was lousy. Nevertheless, I do think he has the requisite Bond look. I'll reserve judgement until I've seen him act. Russell Crowe - The only bonafide movie star on the list, Crowe exhibits the right charisma and confidence, but is... well...just not handsome enough for Bond. It's a moot point, anyway, because from all reports he wouldn't accept the role (certainly not long-term). Like Mel Gibson a few years back, Crowe simply doesn't need Bond now. Colin Wells - Unknown outside of the UK, he starred in a (reportedly inept) revival of the cult British TV series "The Professionals." Colin Wells as James Bond? Everyone can dream, right? James Purefoy - Where DO these people come from? Clive Robertson - That's Clive, not Cliff. There you have it! And you can bet your mint-condition, 1964, original-packaged, limited edition Aston Martin Corgi that more names will be added between BOND 20 and BOND 21. View these candidates and their vital statistics and cast your vote for the next 007! Copyright 2001-2004, All Rights Reserved.